Ian Shelly, Pixel, earthenware, glaze, BFK, graphite, pastel, enamel, 18x18x7"
MACOMB, IL - The Western Illinois University Art Gallery will feature the Biennial Faculty Exhibition through Dec. 8. Patrons will have the opportunity to view a selection of works by University art faculty, including Professor Jan Clough, Professor Damon McArthur, Professor Tim Waldrop, Associate Professor Terry Rathje, Professor Bruce Walters, Assistant Professor Ian Shelly, Professor Jenny Knavel, Art Chair Kat Myers, Professor Julie Mahoney, Professor Bill Howard, Professor Susan Czechowski, Associate Professor Duke Oursler and Liberal Arts and Sciences Professor Jo-Ann Morgan. 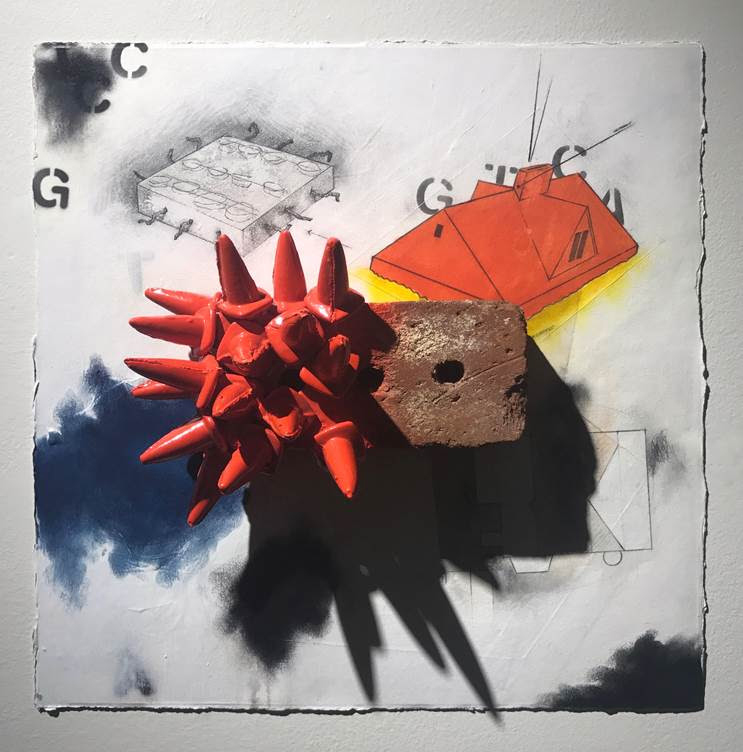 "This exhibit is a great opportunity to see the studio research of all our art faculty," said University Art Gallery Director Tyler Hennings. "There are13 artists represented; they work in a variety of disciplines, materials and concepts." A reception will be held from 4:30-6 p.m. Thursday, Oct. 12 in the gallery. The exhibit is open free to the public. Gallery hours are Monday-Friday 9 a.m.-noon; 1-4 p.m. and Saturday 1-4 p.m. The gallery is closed on University holidays. For more information about the Gallery, visit wiu.edu/artgallery.